Why We Are Valuing CityFALCON’s Crowdfunding Round at £5.8m? Why We Are Valuing CityFALCON’s Crowdfunding Round in Nov 2018 at £5.8m? 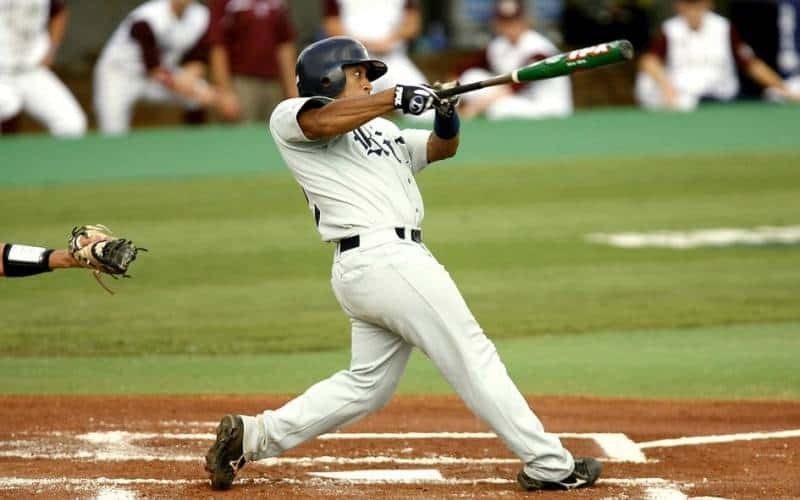 You must be wondering what a baseball hit has to do with a company’s valuation but this is the first thing I let most of our investors know – we are going for a home run even if it means there is a chance of getting out. You will read more about this later in the post. As a value investor, I look to buy assets quoted below their ‘intrinsic’ value. If you’re in London, come down to the London Value Investing Club, where we have over 2.5K members and hold 2 events each month. At CityFALCON, we wanted to make sure that our crowdfunding round is reasonably valued and adequately compensates investors for the risks involved in investing in start-ups. This is part of our effort to make this particular crowdfunding campaign the most transparent ever. If you’d like to support us in this round and join CityFALCON as an equity investor, express your interest here. We closed our £550K round on Seedrs in Jun 2017 at a post-money valuation of c. £5.2m. After adjustment for employee stock options, the upcoming round is at just a 10% increase from the previous round. We have achieved a lot since our previous round and could have increased the valuation even more, but we want our campaign to be very appealing to the crowd. The price of property in the cities of London, New York City and Mumbai is much higher than the price of identical property in other cities, even though very similar raw materials, labour and technology were used to develop it. The price of crude oil is almost entirely determined by supply and demand. In the past year, there has been a global over-supply of oil, coming from increased North American production paired with a dramatic response from OPEC, to increase their own output at the same time. This huge increase in supply, without the matching increase in demand, sent oil prices plummeting worldwide. Of course, during periods of low interest rates and high liquidity, the price of assets generally rises due to an overall increase in the price level (inflation) which can lead to overvalued financial assets. This is why we see some start-ups and ‘unicorns’ issue equity and raise capital at unbelievably high valuations. Fundamental value, however, is also relative and could move up and down as we gather more data, and gain a better understanding of the particular asset and sector. Example: Many product-based tech companies, such as Facebook, Google and Snapchat, when just starting out, did not have substantial revenues. These companies are valued very differently from companies with a proven business model & revenues, such as IBM, Microsoft and Apple. 1) They will most likely fail due to not raising enough capital. 2) With a low personal stake in the start-up, the entrepreneur does not have the ‘skin in the game’ to prevent jumping ship to a full-time corporate position. 3) If they are underselling to current investors, how can we expect that they will be able to effectively sell their product/service to customers? Similarly, how can investors expect that future fundraising rounds won’t be conducted at just as low of a valuation. User/revenue traction, i.e. “how many users do you have or how much revenue do you make”, is the standard investment criteria used by most investors. Product-based start-ups come with inherently higher risk, and naturally, investors don’t like risk, despite their desire for high returns. It is for this reason that we don’t see product-based start-ups, such as Facebook, Linkedin, and Twitter, coming out of the UK. It is substantially easier for service-based start-ups to achieve funding. Here at CityFALCON, we have had to spend more than 2 years building our product! So what’s the difference between a product and a service-based start-up? Think about someone starting a property rent-to-let model, an outsourced development, or a design agency – all of these are service start-ups. Typically, these companies could potentially start generating revenues within 1-2 months. With a product-based business, you have to “burn” some cash to be able to build a product, and some product companies that are successful today didn’t make any revenues within their first year of operation. At the same time, I’m not saying you should just build something for one year, without any customer development and feedback. The successful product-based start-up needs to make sure that what they are building solves a problem, and that there will be active demand for their product upon its completion. Unfortunately, during this development period, you cannot start pursuing users and revenue, and this presents the funding challenge. So with all of these deterrents, why would anyone build a product-based start-up when you have to burn cash for so long? It’s the upside and scalability of the project. With most well-built products, the entire team can be on the beach and you can still get new users and revenue. In a service start-up, you may need to hire more people or add more resources for each increment in revenue. Our product is in no way perfect and there is a ton of work to do but it’s much better than several other options for investors and traders. We do not have a sales team. From the beginning, our strategy has been to build a product that sells itself, similar to the strategies previously adopted by start-ups Slack and Atlassian. We focus on search engine optimisation, creating quality content, and improving our exposure; allowing companies and clients who need us, to find us. Even in our early stage, we are supporting a big bank such as BNP Paribas, and have FinTech and other companies integrating our API within their systems. Also, early consumer traction and feedback has been positive. However, don’t take our word for it, try the platform out for yourself! Over the coming months, we will look to automate most of the onboarding steps for business clients, providing these users with the freedom to analyse our platform capability, customise a pricing plan, select between various widgets and API, download customizable code and get started immediately. All of this could be done while the CityFALCON team sips margaritas by the beach. Financial start-ups are capital-intensive ventures, and therefore it is necessary to raise more than traditional start-ups. The funds are typically applied to scale the product as much as possible, as within the realm of technology businesses, scale comes before profit. The target market within the FinTech segment is very large, and therefore it is important to scale the product as much as possible before focusing on profit. Silicon Valley recognises this, and therefore valuations within the region are much higher than other tech sectors, including the UK, across the globe. Investors are willing to value these companies at such valuations, despite the lack of revenues, because they are aware that in order to achieve the returns they desire, the company must use their seed capital to build a quality and scalable product. This strategy has been replicated in the past, with examples such as Snapchat raising millions based off of user traction alone. The one cost most people ignore when looking at a potential investment or other opportunities in life is the opportunity cost. “If your startup fails what will you lose? I’ll lose my money, while you’ll get a job”. CityFALCON is my baby. I’ve been told she only has a 10% chance of succeeding, but I’ll do whatever it takes to keep her alive. This drive to keep my startup afloat has sometimes come at the cost of my health, my relationships, and every other facet of my personal life. However, I truly believe that if you’re not obsessed with your startup, you’re wasting your time. How far are we willing to go to support the business? 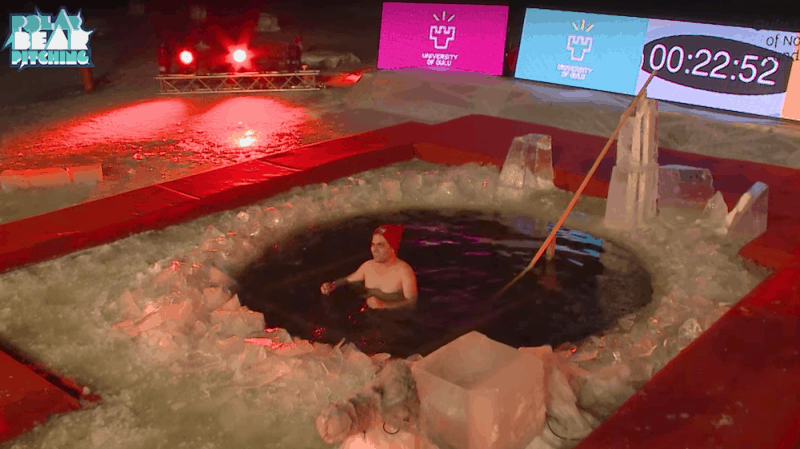 I tossed all doubts aside and jumped into freezing water in the dead of the Finnish winter, just for the exposure (and a shot at the competition’s prize). Watch my full pitch from an ice hole in the frozen Baltic Sea here. You could get a corporate job, and with the way, salaries are ballooning in the tech world, you could have quite the luxurious life. A startup is a five, six, or seven-year long play. You can see this from prior start-up exits, and from the reverse vesting terms that VCs add to your term sheets. So when investors give you money, it is important to remember that as an entrepreneur, you are also contributing. You’re committing, at least, the next 5 years of your life, your blood, sweat (and sometimes tears) to your startup. Obviously, everyone earns a different salary. Let’s say an entrepreneur who has the guts to start a business is worth at least £75K per year. This is a conservative estimate, and the number could be as high as £200K-300K depending on the level of experience. Therefore, the discounted opportunity cost for an entrepreneur over a five year period could be as high as £1m, in London. What we are building is a fully scalable FinTech product, one which requires significantly more resources that the average tech product. As you may be aware, costs of hiring development and tech talent, particularly with financial acumen or interest, is growing rapidly. Also, since the cost of building products is high, companies are ready to pay higher multiples on FinTech acquisitions. If a financial institution were to build the same product as CityFALCON, the discounted value of projected expenses in building this product, in London, would be much higher than our valuation. Also, add to that my personal hypothesis that the chances of failure for internal corporate projects is higher than that of start-ups, and you can see that our valuation range is fairly conservative. While we don’t have significant revenue during our product development phase, we have several relationships that could materialise in the future. We have received several awards and recognition from organisations across the globe. In 2015, we placed second at Twitter’s global start-up competition, and first in the ‘Next Big Idea in FinTech’ competition from Ministry of Ontario. CityFALCON finished within the Final 10 at the Standard Bank Global PathFinders Challenge, and within the Final 10 in the EMEA group at the UBS Future of Finance Competition. More of our recent recognition can be found here. Similarly, we graduated from the Microsoft Accelerator last year, and now have support from Microsoft. They have already provided us with Azure cloud credits, which means that we don’t have to spend anything on server costs for the next 3 years. We have affiliate deals with more than 10 leading brands in the finance space, including IG, City Index, eToro, Seedrs, and Syndicate Room. Our current investors are very motivated to see CityFALCON succeed, and will contribute to this round of crowdfunding at this valuation level. The fact that these investors have the confidence to re-invest at this level of valuation should convey to you that at this range, there is substantial potential for greater returns in the future as we continue to scale, partner, market and develop the platform. Please note that amounts they will invest will be much lower than what they had invested in previous rounds. A reasonable valuation applied to this round of funding instils confidence in our large team of skilled employees, as they can see their stock value options grow. Similarly, new employees consider cash to stock options conversion based on the current valuation, and an undervalued company could result in higher dilution from employee stock options. Our goal has always been to align the interests of all parties, and we will issue new stock options at least at the price we raise this round. Previous valuations applied to our competitors have been similar, or much higher than the range we are applying to CityFALCON. Many investors are concerned about whether investing at the current valuation will provide them with ample room to see a return. If a start-up is valued too high, the investor may be paying too steep a premium, and it is possible they could never see a profit throughout the holding period. Looking at past FinTech exits, however, we believe that we have selected a conservative valuation range, with plenty of growth potential. In July 2015, SS&C Technologies acquired Advent Software for ~$2.83 billion. In April 2016, Ally Financial acquired Tradeking Group for ~$275 million. In February 2014, BBVA acquired Simple for ~$117 million. In May 2017, Liquidnet acquires OTAS Technologies. In May 2017, Euronext Acquires 90% of FastMatch for $153m. Relative to the valuations applied to some other FinTech funding rounds that have occurred in London, we are inexpensive. Tandem raised £22m at a £65m pre-money valuation. Mondo raised £6m at a £30m pre-money valuation. Revolut raised £8m at a £40m pre-money valuation. Wise Alpha is raising at a c. £6.4m pre-money valuation. Wealthify raised £1.1m at a £9.7m pre-money valuation. While this may seem like a bold statement, the majority of start-ups either fail or succeed. At such an early stage, the growth potential for the start-up is still hypothetically unlimited, and therefore minor differences in valuation do not really affect the grand scheme of things. 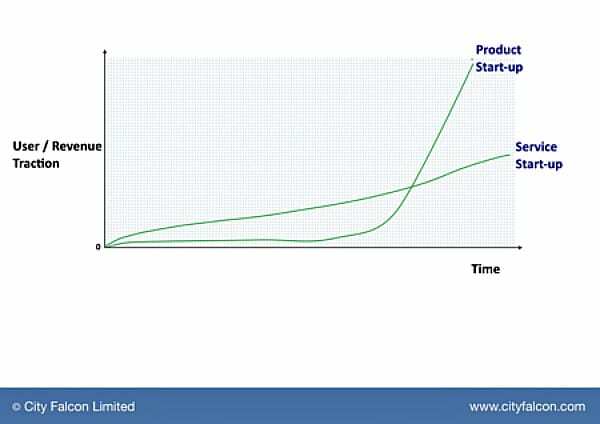 If the start-up succeeds, its value will increase exponentially beyond its initial valuation, and if it fails, the value will be zero. We believe that focus on user and revenue traction is not the right way to evaluate this investment opportunity. In fact, if that is the basis of your investment, we are probably not the right company to invest in. If you believe in the opportunity, and our team and its ability to deliver based on the product you can see thus far, we would love to have you as an investor in our upcoming round. You can express your interest here.